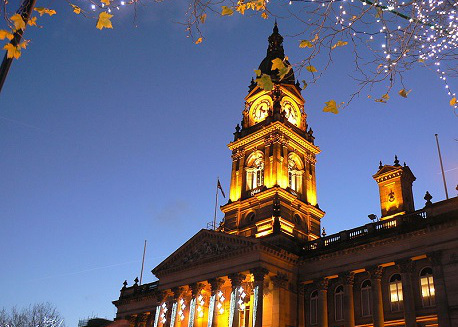 Situated in the North West of England, Bolton is just a short drive from regions principal city of Manchester. Bolton's location in the heart of the industrial North West ensures it is extremely well connected to the major cities of Manchester, Leeds, Sheffield and Liverpool, all of which are accessible in less than one hours drive from Bolton. Bolton is one of many large cities in the Greater Manchester area, enjoying a location less than half hours' drive from the borough's principal city of Manchester. The travel-to-work catchment area overlaps both cities and links them in both leisure and professional ties. The town's close proximity to Manchester city centre has resulted in a large demand for long term rental accommodation in the town in recent years. Just 4 miles away is the city's nearest motorway (the M61) which connects to the larger M60 and the M6. Coupled with the West Coast Mainline railway, Bolton is easily accessible from a number of cities in the area including Sheffield, Leeds and Liverpool; which are all less than 90 minutes away. Enjoying one of the most central geographical locations in the country for travel, the Scottish, Welsh and English capital cities are all reachable in around 3.5 hours of travel time. International travel is made possible by links to Manchester Airport, just 20 minutes away, which connects with North American, Europe and Asia. Bolton, despite many claims otherwise, is a town and not a city; with a population of around 138,000. Encompassing the nearby villages and towns which collectively make up the borough, the population grows to around 250,000. The city is famous for being one of the densest populations of Asians in the UK, with a 15.8% proportion of the entire city being British-born or immigrating Asians. The University of Bolton helps to swell the city's numbers during term time by around 10,000; making the local area around the institution an area rife with student accommodation investment in Bolton. The city itself has grown from around 11.5 square miles in 1991 to just over 17 square miles at the most recent count. With an average age two years younger than the rest of England, Bolton enjoys a younger population than most other towns in the country. Since our last construction update, all the steel frames and contractual work has been completed along with the concrete slabbing on all floors. The student apartments are on course to be completed towards the end of Q4 2017. Partition walls and drainage designs have been finalised and the first-floor slab is now in place.